The Slovene Home Skilled Care & Rehabilitation is dedicated to providing the patients and residents of our community with care and services of the highest quality possible, in a home-like environment, in order to meet their medical, physical, social, psychological, religious and cultural needs. The Slovene Home Skilled Care & Rehabilitation places quality of care first and is designed to provide the services and support you or your loved one need as you transition either from the hospital or the community. 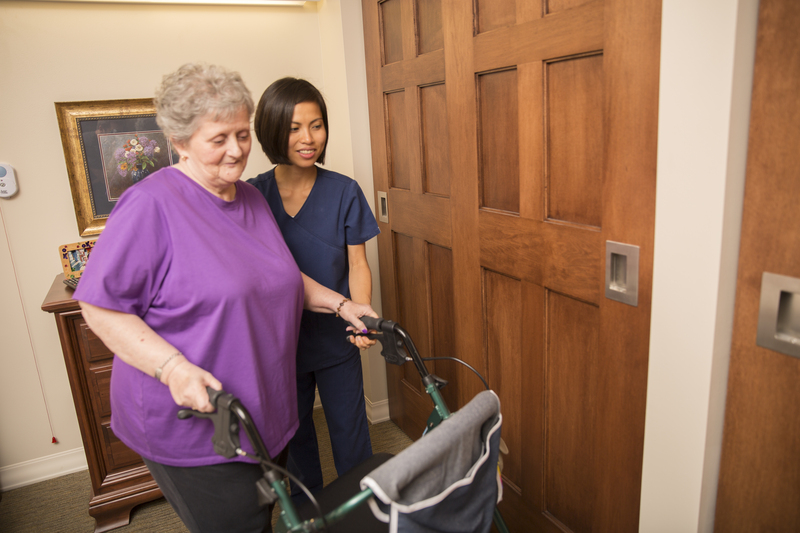 Our services include post-acute hospital care, long-term care, assisted living, hospice and respite care. As part of the Cleveland community for more than 50 years, the Slovene Home has earned a reputation of providing quality medical care. 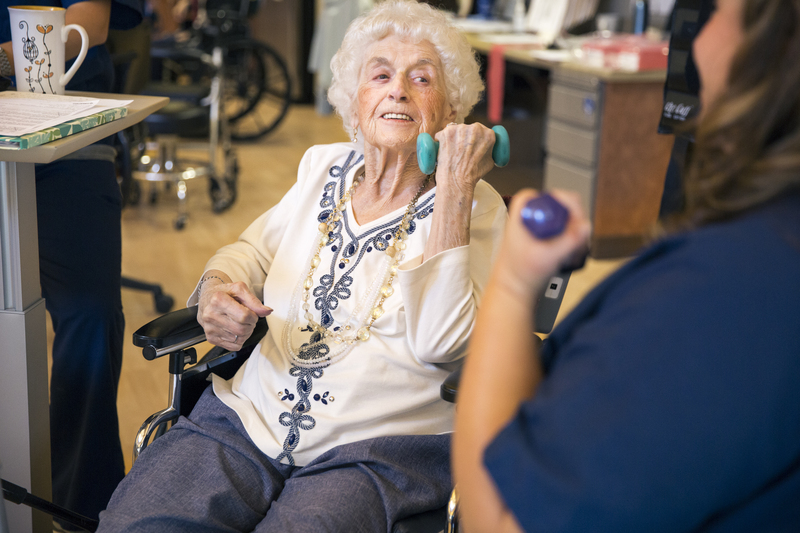 Our home-like atmosphere allows for compassionate, one-on-one interaction between residents and their team of professionals that includes physicians, nurses, rehabilitation therapists, dietician and social services. 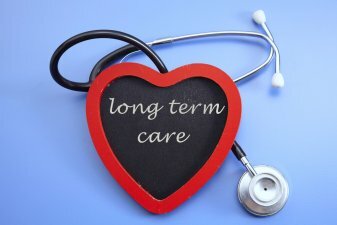 Our multidisciplinary approach works with our patients, residents and their family to design physician prescribed, personalized comprehensive care plans to optimize each individuals’ unique needs. We promote desired outcomes and prevent hospital re-admission. The Slovene Home takes immense pride in having the opportunity to deliver the highest quality of care to each of our patients and residents. Our expertly trained multi-disciplinary professional staff aim to empower our patients and residents to live the life they choose with dignity, while recovering from a hospital stay or other health-related complication. 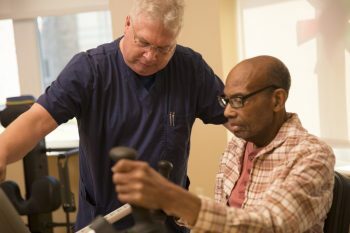 Our therapy team utilizes state-of-the art rehabilitation equipment and techniques to optimize patient outcomes while they are receiving physical, occupational and speech therapy. Our team creates a stimulating and fulfilling environment by utilizing all of our resources to provide compassionate person-centered quality care to all our patients and residents, at all levels of care. 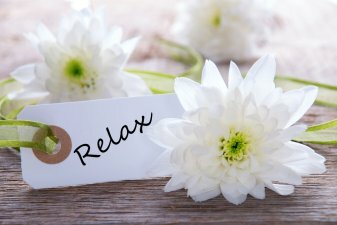 All of the efforts of the Boards of Trustees, administration and staff shall be directed toward providing a loving environment in which the patients and residents may enjoy their lives. 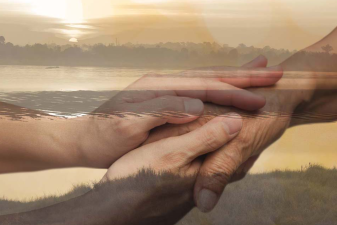 Special attention will be provided to the care and comfort of the individual at the end of their life and palliative services will be available. Services from outside hospice providers will be made available, as requested. Both my mother and my aunt have been to Slovene Home for multiple visits for SNF. I have found the staff caring and engaged with their patients. I love the therapists. One thing very special about the therapists has been their ability to follow my mother at home after each discharge. What a great transition in care! They know her and her needs. And the family and my mom are comfortable because we know them and how great they are with our mom. This,is a very nice place if you need Assisted Living needs , or need to be the for Nursing Hm Care. Also the therapy if needed is State of the art. The staff here is very dedicated to their residents and treated my aunt and mother with the utmost of respect and courtesy. They provided excellent care for both of them. I highly recommend the Slovene Home for the Aged. I hope to get this level of care when I reach that point in my life. I have had extended family go through their recovery here if they are having hard time and this facility as one of the best! Also a good location if you a family that needs Continuous Care. I highly recommend it! My grandmother loved the staff. Therapy and service were excellent acording to her. Also a very clean establishment. I am a Social Worker at a local hospital and have known that Slovene home has a great reputation in the community. When we wanted to relocate my father from a nursing home in Columbus to Cleveland, Slovene home was my only choice. He had fallen at previous nursing home more than 20 times. Slovene home were able to determine that he needed to see a neurologist. He has not fallen since they started on Parkinson’s medications. The nursing staff does a great job in notifying you of any change in status or change in treatment order. The staff there is friendly and they ensure my father is safe despite his confusion. They make sure he’s clean and dressed even when he resists bathing. My Dad enjoys all the activities that they have for residents and says it makes his days good quickly. I have numerous friends and neighbors who have their loved ones there also. I am pleased to report that my Dad has been at the Slovene home for almost 2 years. Thank you from the bottom of our hearts! Your staff took great care of our dad!